Bike Pic Nov 8, some cyclists never learn, they just want to have fun! 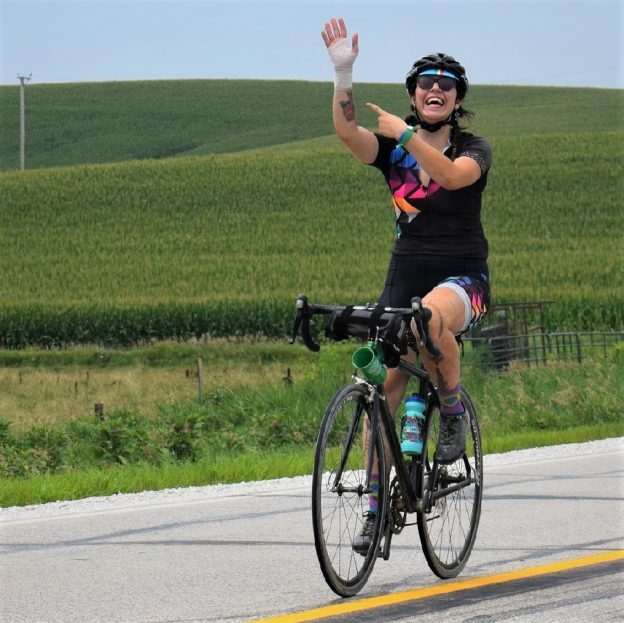 This Bike Pic Thursday, digging through the summer archives we found this biker chick enjoying the Iowa countryside, on RAGBRAI, while showing us her bandaged wrist from a previous injury. This entry was posted in Picture of the Day and tagged Across Iowa, bike guide, biker chick, Free maps, fun memories, Iowa, picture perfect, RAGBRAI, ride right, road biking, thursday fun, touring on November 8, 2018 by Russ Lowthian.